Hair Specialists, has helped thousands of Nebraska, Iowa, and Kansas men, women and children suffering from hair loss, baldness, and thinning hair. 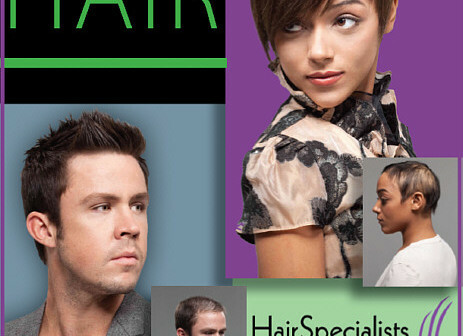 Since 1994, Hair Specialists in Lincoln has taken great pride in providing their clients and patients with the latest breakthroughs in male and female (pattern) hair loss prevention programs, hair replacement solutions, including non-surgical hair restoration and replacement, as well as permanent, surgical hair transplantation. Forget those silly wigs, hair-pieces, and toupees. They are dedicated to providing custom-tailored, totally undetectable, proven hair loss treatments for men, women and children in a comfortable, discrete, private environment. Their hair loss experts will work with you to determine the right custom solution, without bias towards any one particular solution. Their staff of experienced specialists and highly trained professional stylists (also known as Image Consultants) will ensure your expectations are met and exceeded. Chris Garner-Giles, owner of Hair Specialists, strives to offer the most advanced techniques and products for hair loss. She is a member of Transitions International group, an elite group of Hair Restoration Specialists, comprised of award-winning international members. She also is a member of Virtual Reality, a top leader in the dermal lens application that has been featured on Montel, Movie and a Makeover, and Good Morning America. Hair Specialists restores more than just your hair! Restore your confidence, and get back into your life. 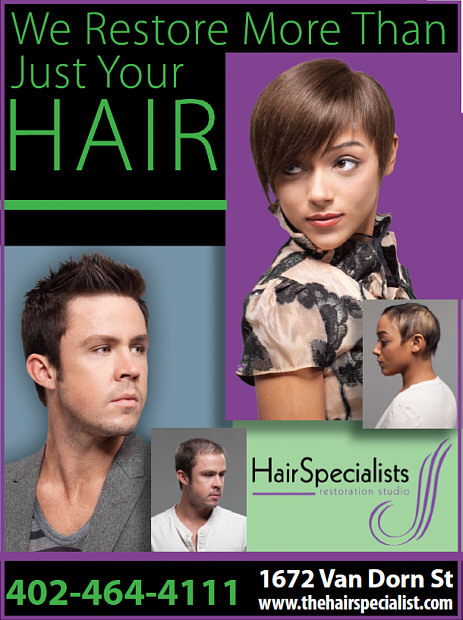 Hair Specialists want to remind you of thier New Year, New Look, New You makeover contest. Readers are encouraged to nominate someone they feel could benefit from a hair loss makeover by finding them on Facebook (facebook.com/hairspecialists) and filling out the form. They will narrow down the candidates and on January 9th 2012 will post photos of the finalist. The photo that gets the most ‘likes’ will be the winner.